(left) Wallis Simpson, The Duchess of Windsor, in Elsa Schiaparelli’s Lobster Dress, 1937. (right) Isabella Blow in Philip Treacy. 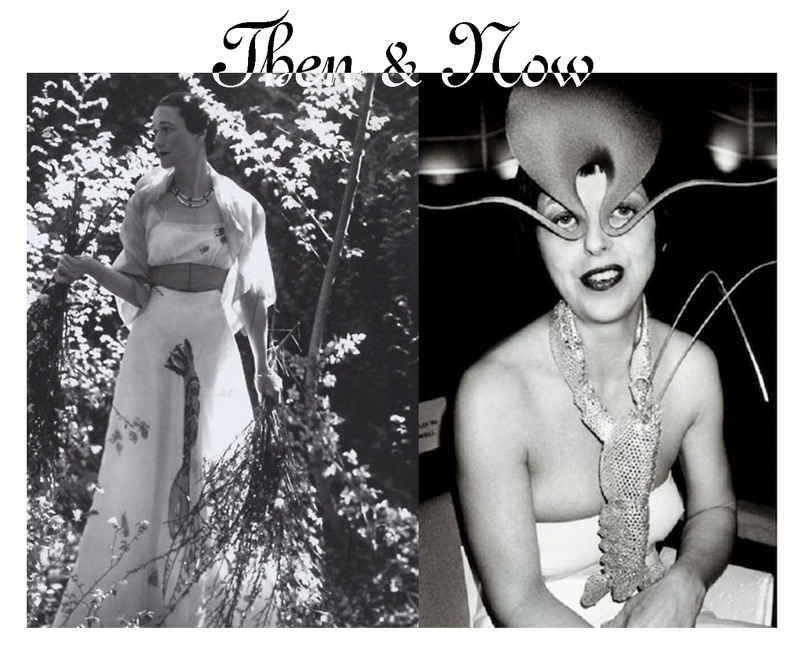 This entry was posted in Then&Now and tagged Elsa Schiaparelli, Isabella Blow, Lobster Dress, Philip Treacy, The Duchess of Windsor, Wallis Simpson. Bookmark the permalink.